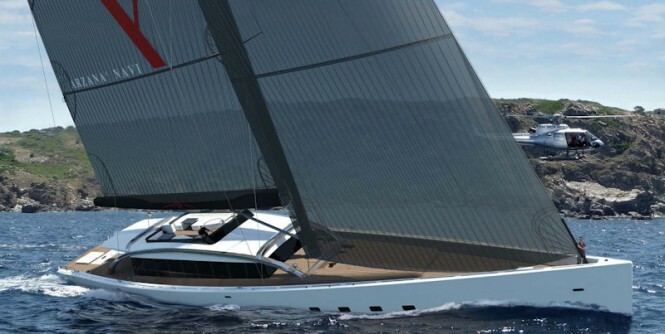 Two 48.40 Sloops with naval architecture by Tripp Design are currently in build at the Italian Arzana Navi Yard. The 48m sailing yachts were developed based on in-depth market analysis, which revealed an underexploited segment of the superyacht market; that of owners desiring the amenities of a powerboat together with the excitement of a modern sailing yacht. The design therefore was placed between the commercially successful motor-sailers and the exhilarating cruiser-racers. An important philosophy of the design was to emphasize the living experience for guests onboard. The yacht’s size was chosen to deliver powerboat luxury through generously spaced and plush living areas. Equipped with a modern and stylish interior, the yacht offers a unique and open living space featuring a large central staircase. The yacht also offers an large full beam Master Suite and a further four guest cabins. There is al fresco dinning on the outside aft and a sunken jacuzzi on the aft main deck. Materials and construction technology will be of the highest standards, providing extremely low noise and vibration levels. 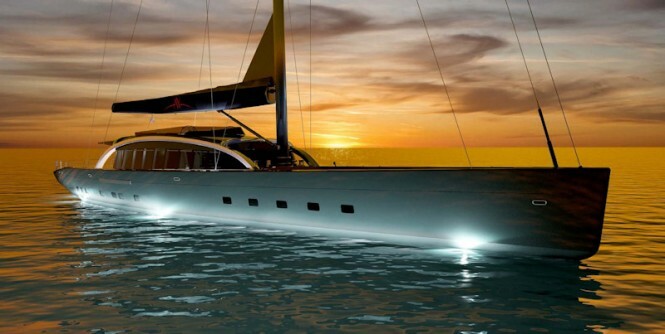 This design of the sailing yacht also offers another advantage over that of the typical powerboat of this scale, a greatly reduced impact on the environment. The hull shape is efficient, lowering emissions while under power, and eliminated emissions while under sail — the greenest way to travel. The systems onboard will be both simple and reliable for both guests and crew, and with the use of recent ships technologies, the design maintains the highest standard of anti-pollution allowing the boat to receive the RINA Green Star Certification. To facilitate the broadest possible use of the sailing yacht design, it will comply with the RINA Unrestricted Charter Class regulations. This will make these yachts attractive charter prospects. Currently the first 48m hull by Tripp Design is in an advanced stage of construction at the Arzana Navi yard and in a few months it will be transferred to the fitting out location. This powerful sloop offering high performance for world cruising is due to be delivered in November 2011. In the meantime, the construction of the second hull components has already started, and will advance faster once the first yacht has left the building area.